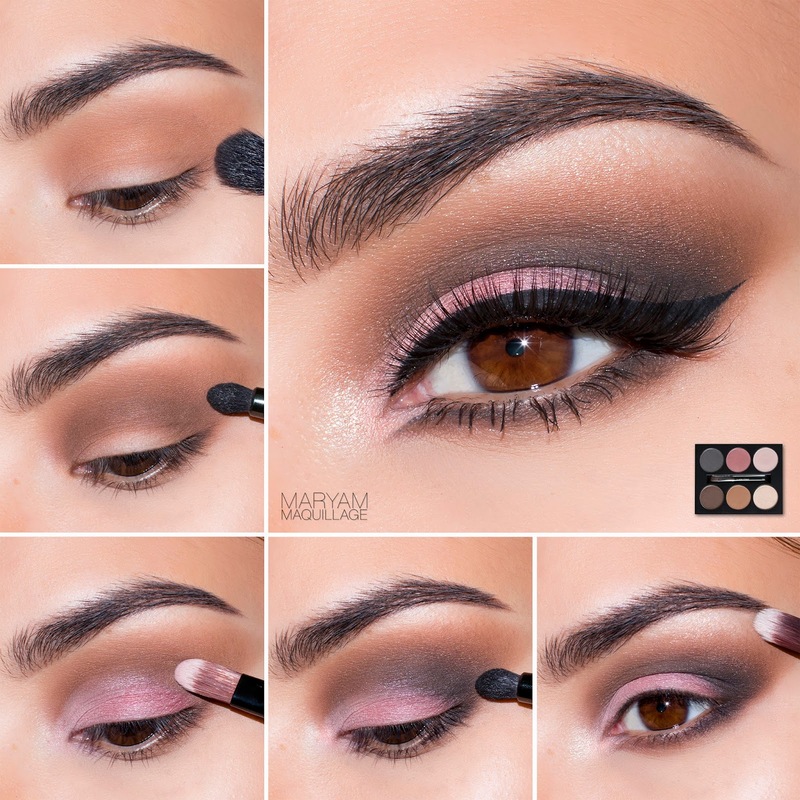 The Look: Warm-tone, smokey eye with a pop of satin pink on the lid, accented with bold cat eye liner and soft feathery lashes. 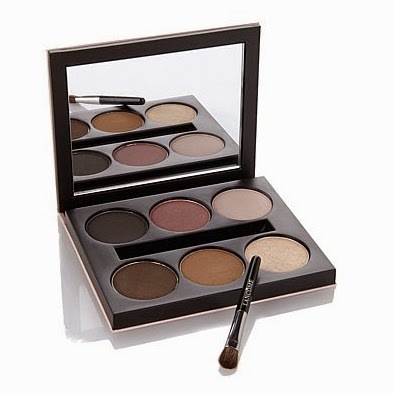 Apply primer and use Lancome brush 17 to apply "Chic" (matte ochre) onto the crease area and lower lash line. Use brush 16 to apply "Vintage" (matte dark brown) directly in the fold and lower lash line and blend out with the previous shadow. Use shadow brush 18 to apply "Exhibition" (dusty rose) to the outer lid and "Pink Pearls" (pale pink) to the inner lid and corner. Apply "Clock Strikes 12" (charcoal) to the outer corner using brush 16. Add "Honeymoon" (champagne) onto the brow bone and inner corner as a highlight. Add liner, mascara and falsies to complete the look. I used Lancome liner design gel liner in Black Fishnets.